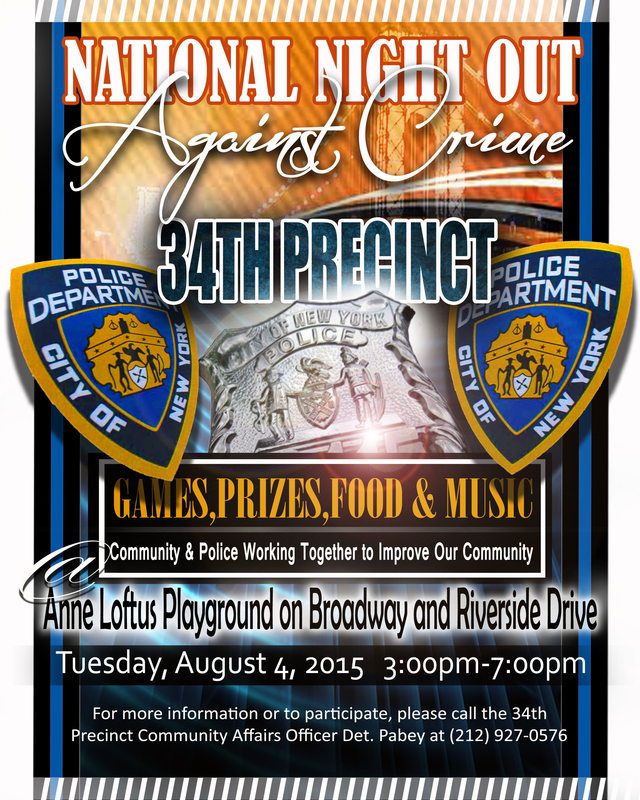 34th Precinct Annual National Night Out Against Crime will be on August 4, 2015 at the Anne Loftus Playground. The Executive Board of the 34th Precinct Community Council congratulates former 34th Precinct commanding officer Andrew Capul on his promotion to Deputy Chief. In his new role, he will continue to support Assistant Chief Kathleen O’Reilly, commanding officer of Patrol Borough Manhattan North, which includes the 34th Precinct and 11 others. 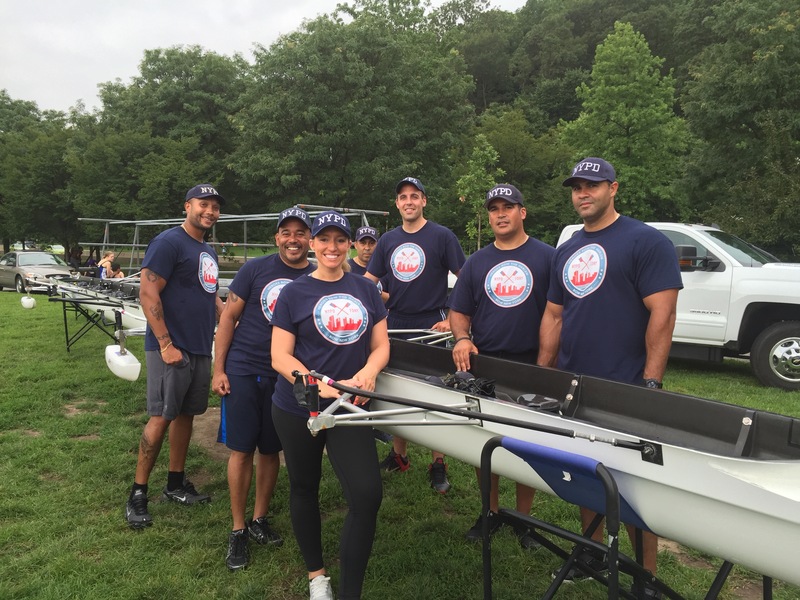 These are some of the terrific cops who keep Washington Heights and Inwood safe, competing today in Row New York event, pitting a team from NYPD 34th Precinct against their counterparts from FDNY. Blood soaked shirt and crime scene tape outside Papasito on Dyckman Street, hours after a bloody fight hurt two. A fight on the street outside one of the bars on Dyckman Street between Broadway and Seaman Avenue late Sunday night injured two men and resulted in three men taken into custody by 34th Precinct officers who responded. Blood stains, discarded crime scene tape and a blood-soaked shirt from the melee remained on the sidewalk eight hours later. 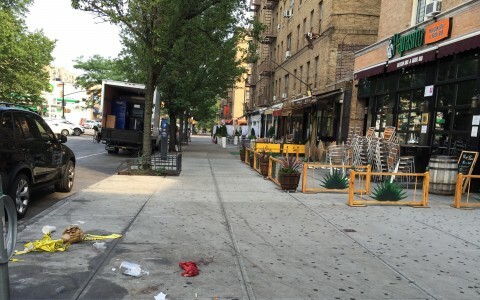 The 34th Precinct Community Council Executive Board has raised concerns about safety along this part of Dyckman Street and did so again Monday. According to multiple sources, the fight appears to have started close to midnight. Two men were attacked outside Papasito Restaurant (223 Dyckman St.) One victim’s face was severely slashed, and the other victim was knocked to the ground, unconscious. Both victims were taken to Harlem Hospital. Three men were taken into custody after trying to leave the area in a large luxury vehicle, which was towed by NYPD as part of the investigation. Blood was splattered on cars and the sidewalk almost to the corner. Precinct commander Chris Morello only shared that two people were assaulted and there were “some arrests” in a Facebook post Monday morning. He urged anyone with information to call 1-800-577-TIPS to anonymously report details that could lead to arrests. Feldheim urges members of the community to share their concerns and questions via the precinct council website, 34pctcouncil.nyc. 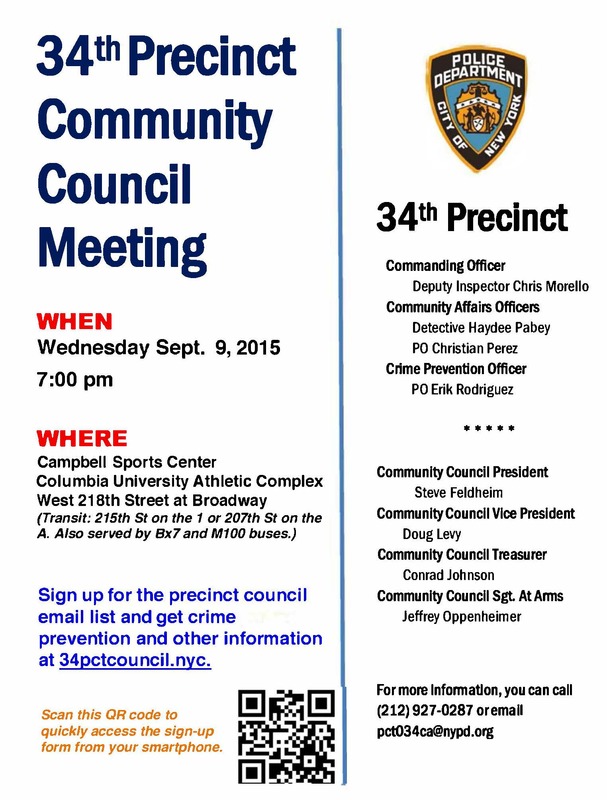 The precinct council executive board will convey citizen comments to NYPD and seek answers to questions that are submitted.